Solar panels can be complicated and expensive, so it is a great idea to know what is what when considering installing an array on your roof. There are many different types of solar panels, complicated jargon, and a bunch of important requirements that need to be considered. To get the ball rolling, we have created a useful list of frequently asked questions, accompanied with some consumer ready explanations. Solar panels are devices used to capture the suns energy to produce electricity or hot water. The panels that make electricity are called Solar Photovoltaic Panels (or Solar PV), and panels that heat water are called Solar Thermal Panels. Solar Photovoltaic Panels convert sunlight in to electricity, using semiconducting materials, such as silicon. The types of domestic photovoltaic solar panels include monocrystalline, polycrystalline and thin-layer solar panels. Solar Thermal Panels harness the suns heat to create hot water for use within the home. The two most popular forms of domestic thermal solar panel are evacuated tubes and flat plate solar collectors. Solar PV Panels are created by connecting a series of photovoltaic cells. Photovoltaic Cells create electricity when particles of light (called photons) knock electrons free from atoms, which results in a current of electricity. Semiconducting materials (such as silicon) are required, and multiple layers are used in photovoltaic cells. Layers are sandwiched together, with each adjacent layer having a different charge (either positive or negative). These alternating charges create an electrical field within the photovoltaic cell. When photons knock electrons loose, they are pushed out from the semiconducting layers, and move into conductive metal plates located along the perimeter of the cells. These electrons then leave the solar photovoltaic panel as electricity to power your home. Why are they called Photovoltaic panels? The word Photovoltaic comes from the combination of the photo (which comes from the Greek word for light) and voltaic (in reference to the electricity pioneer Alessandro Volta). Thus, photovoltaic means to convert sunlight into electricity. Solar photovoltaic panels are not the only form of solar panel that creates solar power. Solar thermal panels use the suns heat energy to create hot water for use within your home. Solar thermal panels use black materials to absorb the suns heat energy, and this heat is transferred to water, or another liquid, passing within the panels. The heated water then travels to your homes boiler, where the heat is transferred (using a heat exchanger) to the drinking water within the boiler. This heated drinking water can then be used throughout the house. Solar thermal is also beneficial for home heating, using the suns energy to heat water used within radiators. How much money will I save on my electricity bill? The size (in kWh) of your solar panel installation and location within the UK will impact on the total amount of electricity your system will generate, and thus the savings you will make on your electricity bill. Larger systems and properties located in the Southern parts of the UK will produce more electricity, and have bigger electricity savings, than those with smaller systems or are located in the North. A 4 kW solar panel array should have an annual output of approximately 3,400 kWh, which is similar to the amount of electricity used by a medium sized property using dual fuel (gas and electricity). However, more electricity is used at night (for lighting, cooking, etc. ), and as solar panels typically put excess generated electricity back on to the grid, rather than storing it with batteries, it is estimated that you will reduce your electricity bill by approximately 50%. Solar panels require little maintenance, but this does not mean that you should neglect their upkeep. To ensure they are working to their full capacity, they should be kept clean and free from dirt. Keep hedges and trees trimmed to prevent shadows on your solar panels. Although solar panels often have a life span of 50+ years, inverters have a much shorter life (generally around 20 years), so may need to be changed. Solar panels are extremely long lasting, and with a little maintenance, should continue to produce electricity for 40-50 years, and perhaps even longer. A lot of installers and manufacturers provide 25 year warranties. The efficiency of solar panels does decrease over time, however the efficiency can still be above 80% by the end of the panels usable life. Should I buy a property with Solar Panels installed? Solar panels can make a great addition to any property, and in most cases add significant value to the home’s market value. In some circumstances, there are considerations which may complicate buying a property with solar panels installed. In recent years, there has been a dramatic rise in the number of free solar panel installations throughout the UK. The installations are provided free on the basis that the installation company will receive the Feed-in Tariff payments from the installation. Essentially, they are renting your roof space, and the payment you receive is free solar electricity. When buying a property, it is important to check whether the installed solar panels are paid for in full, or are provided free by a company, as the latter will mean that the contract is passed on to you as the new property owner, if you buy the house. Another consideration when buying solar panels is the age of the installation. Remember that solar panels do often last for 40-50 years, so you will benefit from a lot of free electricity, even if they are already 20+ years old. If the panels are older than 20 years, check whether the inverter has been changed, as these normally require a change approximately every 20 years. You can have solar panels tested to check their efficiency, which should generally still be above 80% if less than 25 years old. If the solar panels were paid for in full, and installed by an MCS certified installer after April 2010, you may also be able to take advantage of the feed-in tariff payments, which will be paid to you as the new property owner. In general, if the solar panels are in good condition, have been maintained and paid for in full, buying a property with solar panels can be extremely rewarding, not only reducing your carbon footprint, but also saving you money. How do I work out the Payback period? The Payback Period is the length of time it takes to earn back the money you spent on your solar panels. After the recent Feed-in Tariff cuts, the payback period has substantially increased. Based on a 4kW solar panel system, you will make £232 from the Feed-in Tariff (including the Export Tariff), and you are likely to save approximately £65 on electricity bills per year, giving you a combined saving and income of £297. If you get a great deal on your solar panel installation, and spend £4,500 on a 4kW photovoltaic array, the payback period will be 15 years 1 Month and 24 days. To work out the payback period in years, simply take the total cost of the solar panel installation and divide it by the annual profits from your system (FIT + electricity bill savings). Solar tiles are photovoltaic panels which appear to be roof tiles, and are therefore less obvious when installed on a property than a conventional solar panel array. Although solar tiles generally look nicer, they do cost more, and are 10-20% less efficient. A solar panel inverter converts the electricity made by your solar panels (DC) in to power that can be used within your home (AC). As solar panels only create DC electricity, the converter is essential for changing the DC power in to AC power, which can then be used by your devices when you plug in to a power socket. Unfortunately, inverters generally do not last as long as solar panels, so will most likely need to be changed once during the life span of your solar panels. 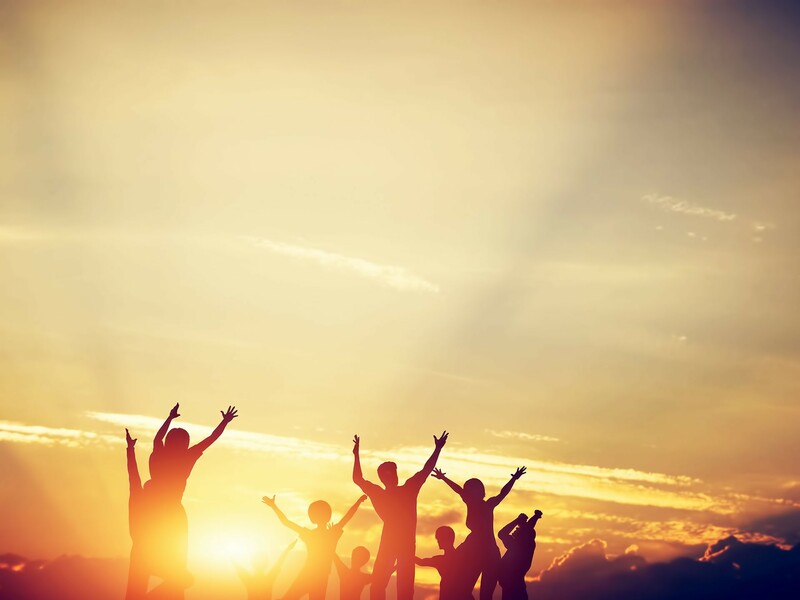 What Government Grants and Schemes will I be eligible for? If you use an MCS certified installer and solar photovoltaic panels, you may be eligible for the Feed-in Tariff scheme. If you have solar thermal panels installed, you may be eligible for the Renewable Heat Incentive. The Feed-in Tariff (FIT) is a government backed scheme which pays you a fixed rate tariff for every unit of electricity you generate. The scheme is locked in for 20 years from the date of your solar panel installation, and you are paid even if you use the electricity to power your own home. If you have excess electricity, you can take advantage of a bonus tariff, known as the export tariff, which pays you a fixed rate for every unit of electricity you put back on to the national power grid. The export tariff is a bonus payment that rewards energy efficient homes. It is paid when excess electricity generated by your solar panels is out back on to the national grid. If your property does not have a smart meter installed, the export tariff is calculated as 50% of the total electricity your system generates. The current export tariff rate is 4.85p per kWh. How much money will I make with the feed in Tariff? There are different variables that effect the Feed-in Tariff rate that you will receive. For the highest rates, your system should be 4 kW or smaller and your property should have a EPC (Energy Performance Certificate) rating of D or above. Based on a 4 kw solar panel system installed on a property with an EPC rating of D (or above), you should expect to receive approximately £150 per year for the electricity generated by your solar panels. If you do not have a smart meter installed, your export tariff is calculated as 50% of the electricity you generate, and has a rate of 4.85p per kWh. As such, you will receive an additional payment of approximately £82. This brings the total Feed-in Tariff payments to approximately £232 per year. *calculations based on a 4 kW solar panel system that generates 3,400 kWh per year. How do I qualify for the Feed in Tariff? You may think that everyone that has solar panels installed on their roof will automatically be able to take advantages of government schemes and incentives, but this is not the case in the UK. To qualify for the Feed-in Tariff scheme, it is essential that you have your solar panels installed by an MCS certified installer, and that the solar panels themselves are MCS certified. To take advantage of the highest tiers of the FIT scheme, you will require an energy efficient property (EPC rating of D or above) and have a system no larger than 4 kW. How much is VAT on Solar Panels Installations? Solar panels, and any installation or repair work associated with the panels, has a reduced VAT rate of just 5%. This is part of a government initiative to make solar panels more affordable for consumers. However, in mid-2015 the EU Court of Justice ruled that the discounted VAT rates for energy saving housing materials and infrastructure is a violation of the EU’s VAT Directive. As such, there may be a potential increase in VAT rates on solar panels in the near future. There are many variables that will impact on the cost of your solar panel installation. These include ease of access to your roof, whether your roof will need additional strengthening, the size of your solar panel system and the type of solar panels you choose. The number of local installers available may also influence costs, with regions that have higher competition rates between installers normally having more competitive pricing. Installation costs also often vary depending on the season, with winter installations costing less than peak season summer installations. In recent years, the cost of manufacturing solar panels has significantly decreased, meaning that solar panel installations are more affordable than ever before. For a 4kW system (suitable for a 3-bedroom terraced property), you can expect to pay approximately £4,000-6000 for installation. Do I require specialist home insurance? Most UK home insurance providers do not require you to take out additional cover, however it is always a good idea to check this with your insurer, as each policy is different. Do I require planning permission or a building permit for solar panel installation? No, you do not require planning permission or council approval for your solar panel installation. Generally, solar panels are regarded a ‘permitted development’, which means that you can have them installed without seeking approval. However, there are some exceptions, such as properties in conservation areas or listed buildings. If in doubt, contact your local authority. What should I ask the solar panel installer? Is the quote all inclusive (including VAT, materials, installation, scaffolding, etc.)? Are you and the solar panels you use MCS certified? What type and size of solar panels is the quote for? What type of inverter will be used? You can find a full list of important questions on our questions for installers page. Why is it important to get multiple quotes? As part of MCS certification, solar panel installers follow a code that explains the rules and guidelines of a solar panel installation, from quoting to follow up work. This code prevents ‘cowboy’ solar panel installers, and ensures that you will always get a great service, and reasonable quotes. It is still important to always collect multiple quotes, as there are numerous circumstances that may influence the quotes provided, such as extra travel costs for longer commutes or even different solar panels. Collecting numerous quotes from different installers will give you an understanding of the costs for solar panel installation in your area. IT will also give you an opportunity to meet with the companies, and choose your favourite. Do not think that you need to select the cheapest quote to get the best deal, as most solar panel installers will be happy to price match to secure your business. As such, choose your favourite installer, and use any lower quotes to leverage the best possible solar panel installation price. How can I ensure that I get a great solar panel installation deal? Everyone knows that solar panels can be costly, but fortunately for you, manufacturing prices have plummeted in recent years, meaning that installation costs have also dropped. Always ensure that solar panel installers quote like for like on the system size and type. 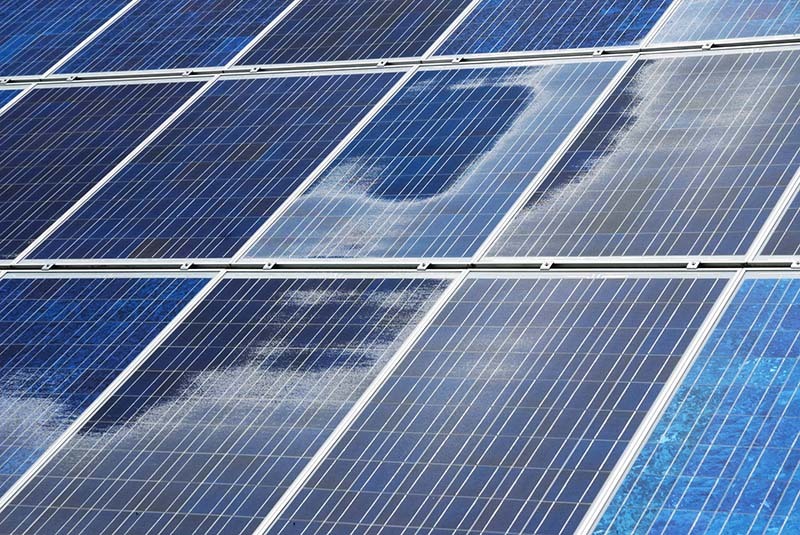 The size of the system will be in kW, and the type of solar photovoltaic system will generally be either monocrystalline, polycrystalline or thin-layer panels. Collect multiple quotes, so you can gauge the prices for your area, and you can use the lowest quote to negotiate a better package from your preferred installer. It is also a good idea to read through our questions to ask installers and solar panel jargon pages, to ensure you ask all the right questions and understand any solar industry related terms. You can also find more solar panel money saving tips here! Solar panel installation is a surprisingly fast process, with the panels normally taking 1-2 days to install on a residential property. The size of the system, as well as access to your roof will influence the installation time. The solar panel installers should be able to provide you with an estimation for the installation as part of their initial quote. How much space do I require for my solar panels? The required space for your solar panel installation has numerous variables, including the type of photovoltaic panel that you choose. Larger kilowatt systems will require more space than smaller systems. Monocrystalline photovoltaic panels are more efficient than thin-layer photovoltaic panels, meaning a 4kW monocrystalline solar array will require less space than a 4kW thin layer solar array. What size (kWh) solar panel system should I choose? When choosing the size of your solar photovoltaic panels, you must consider the size of your available roof space, as this may restrict the number of solar panels that will fit. Your budget will also influence the size of your solar panel system, as larger systems cost more than smaller arrays. It is important to note that the Feed-in Tariff rates reduce for larger systems above 4kW, so to take advantage of the highest payments, you will need solar panels that are no larger than 4kW. The amount of electricity that your household uses can also help you determine the system size that you will require. A medium sized household will normally only require a system no bigger than 4kW to meet their electricity requirements. If you use more electricity than your system generates, you can use additional power from the grid, and if you do not use all of the electricity, this power will be put back in to the grid, and you will be paid the bonus Export Tariff. How do I ensure I have the maximum electricity output from my solar PV panels? Solar panels need sunlight to work, so keeping them clean and free from shade will ensure they are working to full capacity. In dusty areas, solar panels may need more regular cleaning, and you can also hire a professional solar panel cleaner if you require a thorough job. Regularly trim any overhanging branches or hedges that are causing shadows. Over the first 20-25 years of your solar panel installation, the photovoltaic cells should retain over 80% of their efficiency. This is included as part of most installers warranty. If you do not think your solar panels are performing as well as they should, it is a good idea to have them tested. How do I know that solar panels will work on my roof? Solar panels should work on just about any roof, however there are a few exceptions and requirements for solar panels installations. 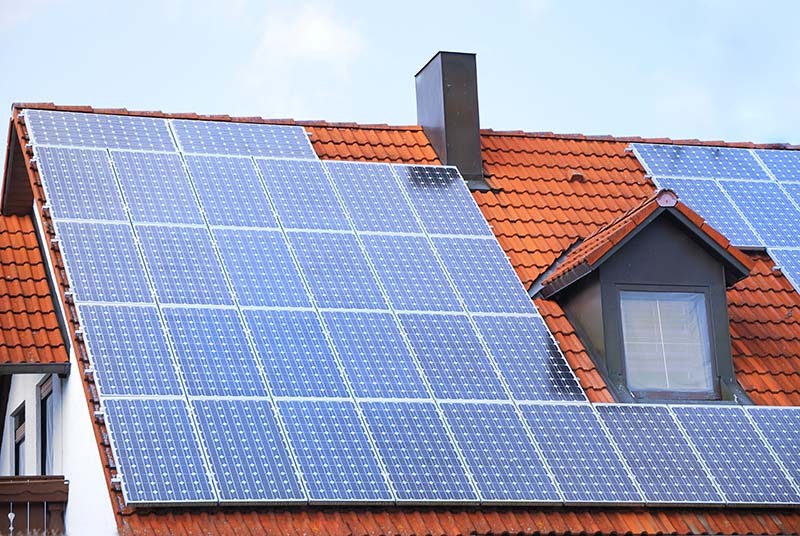 Generally, solar panels are a permitted development, but in some circumstances the installation of solar panels are restricted or prohibited, such as houses within conservation zones and listed buildings. Other important considerations for the suitability of solar panels on your roof include the orientation and structural strength of your roof. Your roof must be able to support the weight of the panels – strengthening can be provided, if needed. Ideally, you should have a southerly facing roof, as this will ensure the maximum electricity yield as the sun passes through the sky. Solar panels are a large expense, so it is vital that you choose an installer that you can trust. Only look for MCS certified installers – this not only is a sign of trust, but also essential to qualify for the Feed-in Tariff. Read reviews from independent websites. Ask how long they have been providing solar panels for, how many installations they have performed, and whether they are familiar with your roof type, location and solar panel choice? Like any smart consumer, you will want to get a great deal on your solar panel installation. Collect multiple quotes, and decide which installer is your favourite. Then use any cheaper quotes you received to request a better price from your preferred installer. How are solar panels attached to my roof? You do not want your solar panels simply blowing away in the wind, so how are they securely attached to your roof, and will my roof start leaking when it rains? Solar panels are anchored to your roof using metal hooks that screw in to rafters (the wooden beams that hold up your roof). This process normally requires the removal of tiles to complete the work, after which the tiles are replaced and the area is waterproofed to ensure no leaks. Can I have solar panels installed on a thatched roof? Unfortunately, solar panels cannot be mounted to thatched roofs. Alternatively, you can consider a ground mounted solar panel array if you are interested in either solar thermal or solar photovoltaic panels. Will my roof need strengthening? Solar panels can weigh up to 30KG per panel, which can add a lot of extra weight to your roof. As such, your roof must be structurally checked to ensure it can support the weight. It is not uncommon for roofs to require strengthening, and this often only costs a few hundred pounds. Installers are often able to perform the required work as part of the installation. What are Free Solar Panels and How do they work? Free Solar Panels? They can’t really be Free! Yes, it is true, solar panel installation companies will come and install free solar panels, and you will receive free solar electricity. So what is the catch? Well, solar panel companies can take advantage of the government backed feed-in tariff scheme, which provides a fixed rate payment for every unit of electricity produced. The feed-in tariff scheme payments normally go to the home owner, but instead go to the installation company when they provide the panels for free. The feed-in tariff makes the installation of free solar panels financially viable, so both sides win. The contract is normally for 20 years, but can sometimes be longer. There are definitely upsides to free solar panel installations, such as free electricity, but there are also a number of other considerations, such as you will not be eligible for the feed-in tariff (which you would receive if you paid for the panels outright) and the free panels may cause issues with potential buyers if you decided to sell your property. 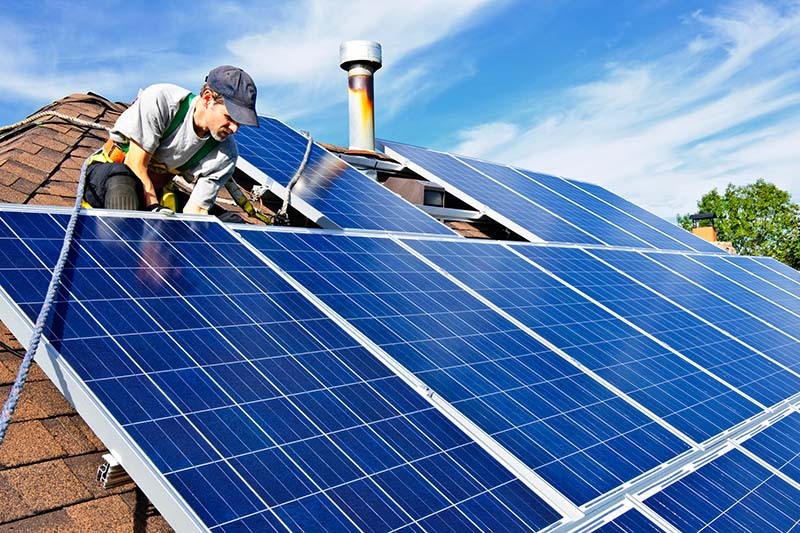 As free solar panel installation companies need to ensure that they will make a profit from installing solar photovoltaic panels on your roof, there are a few guidelines that your property will generally have to meet. You will require a south-facing roof free of shade, houses in the South of the UK are more favourable, as solar panels installed there generally have higher yields, and you must own the property. Are Solar PV Panels a good investment? Yes, solar panels are a great investment. Not only do they have great environmental benefits, they are also financially rewarding. Solar panels can significantly reduce your reliance on other forms of electricity production, which helps cut your solar panel carbon emissions and also makes the air that we breathe cleaner. With the government backed Feed-in tariff, you will also be paid for every unit of electricity you produce, even if you use the power yourself. Not only will you be saving on your electricity bills, but you will also be making a fixed rate for the electricity your panels produce. If you have an efficient house, and do not use all of the electricity your panels produce, you will receive a bonus payment for putting your excess power back in to the national grid – this payment is known as the Export Tariff. Solar panel systems regularly have a 50+ year life span – that is a lot of free renewable electricity. Solar panels can also add value to your property, making it more valuable if you decide to sell your home. Should I consider Second Hand Solar Panels to save some extra money? Second hand solar panels are cheaper than new solar panels, but they do have complications. Not only may these panels have lost efficiency, but second hand panels are not eligible for the feed-in tariff scheme. This means that you will not receive any payments for the electricity that you generate when you use the power yourself. In most circumstances, you may have to install the panels yourself, which can be complicated, and issues can arise if not installed properly, such as a leaking roof. You will also need a qualified electrician to safely perform the wiring. Second hand solar panels may be a good option in some circumstances, such as on a shed, where you are not looking to benefit from the FIT scheme. 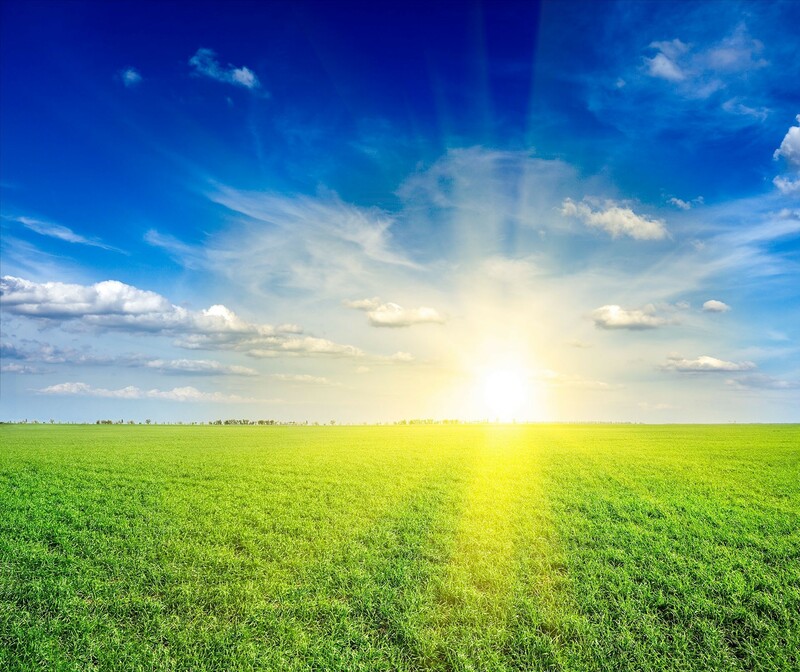 Are solar PV panels bad for the environment? One of the most popular reasons homeowners and businesses consider solar panels are the environmental benefits. Clean, free and renewable solar electricity is great, and will make a massive difference to reduce your carbon footprint, but are there any bad aspects that I should know about? The manufacturing of certain types of solar panels does require the use of dangerous and toxic materials. There is also often waste products produced as part of the manufacturing process. These concerns are minimal, and manufacturing companies aim to limit waste. As solar panels have a life span of 40-50 years, owners will be looking to dispose of their old panels when they are no performing. Currently, solar panel recycling is limited, but new recycling methods are being developed to ensure that potentially toxic panels do not end up in landfill. What are Solar PV Panels made of? Solar PV Panels are made up of photovoltaic cells, which turn sunlight in to electricity. 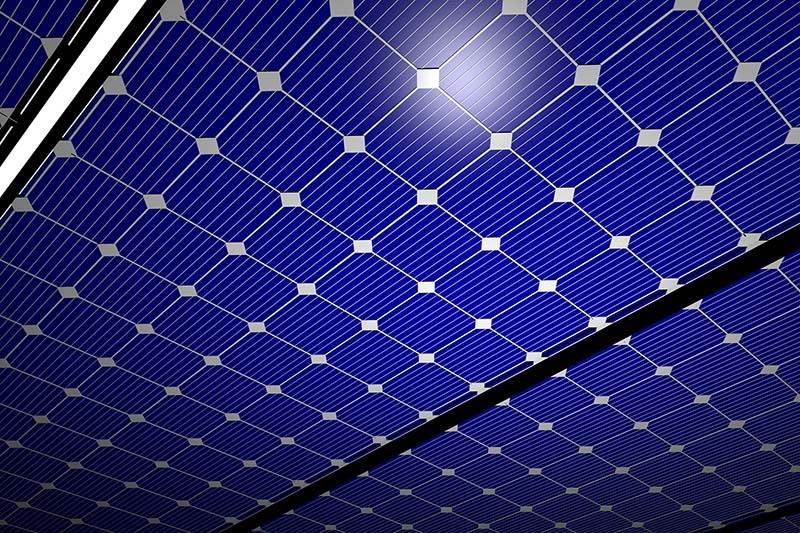 Photovoltaic cells contain semiconducting materials, such as silicon, which react to sunlight. What is the Solar Declination Number? The Solar Declination Number (or angle) is the measure of how far away your solar panels will be located from the equator. This number is important when determining the angle at which the solar panels must be angled to ensure maximum efficiency. For optimal electricity yield, it is recommended that your roof does face a southerly direction, which includes roofs that face South-West and South-East. This is to ensure maximum sun exposure throughout the year as the sun moves across the sky. Where do Solar Panels work best? Solar panels work great throughout all of the UK. Properties located in the south of the UK generally have larger electricity yields than their northerly neighbours, but these differences aren’t substantial. Do I need a battery for my solar photovoltaic system? No, if you do not use the electricity as the solar photovoltaic panels create it, the excess electricity can be put back in to the national electricity grid. The best part is that you will be paid for every unit of electricity you put back in to the grid, as part of the Feed-in Tariff scheme. Currently, solar panel battery options are very limited, but the Tesla Powerwall may make solar panel electricity storage a feasible option. This is great news, as most electricity is used at night, when solar panels do not work (due to the lack of daylight), and less electricity is used during the day, when the solar panels are working hard. You can keep up to date with the latest solar panel battery developments here. How can SolarPanels.cheap help me with my solar panel installation? SolarPanels.cheap has two main goals; 1. To help you find the best possible local and trusted solar panel installers for the best possible price, 2. Provide all of the information about solar panels that you could possibly need before, during and after installation. We aim to make SolarPanels.cheap a valuable resource on all of the latest and up to date information, news and developments in the solar industry. SolarPanels.cheap has a very simple philosophy – we aim to deliver all of the information consumers require regarding solar panels, offer a wealth of advice and tips on how to save money on solar panel installation and assist you in finding an affordable and trusted solar panel installer. Our header menu has links to the most commonly requested information, and if you are unable to find what you need, simply use the search function located within the header menu. If you are ready to start your search for a solar panel installer, you can request a quote and we will help you find the ideal solar panel installer for your property. Yes, the quotes are completely free. We do not charge you for using our service, and the installation companies provide free quotes. There is no obligation to proceed with a quote, so you have nothing to lose. On average, you will receive 3 quotes, but no more than 4 companies will be arranged per quote request – we do not want you being bombarded with too many quotes. If you want more quotes, let us know and we can arrange it for you. Can I request a solar panel quote online? Yes, simply fill in our online request a quote form and we will get to work arranging the solar panel quotes. How long will it take to receive quotes? Normally, we will try to arrange the quote as soon as possible, unless you would prefer to have the quotes provided at a later date. The option is yours, so whenever you prefer. We will get in touch to verify your details, and then the solar panel companies will contact you directly to provide an installation quote. No! If you are unhappy with the quotes for whatever reason, or simply changed your mind about having solar panels installed, that is absolutely fine. You are not obliged to accept any quotes, and the whole process is completely free. I am a solar panel installer, how do I sign up? If you are a solar panel installer, and are looking for more local work, please get in touch to find out how we can help. We will be regularly updating our Solar Panel FAQ page, but if you have questions that you think should feature on this page, please get in touch and let us know!